Why Aussies Should Sign Up at Springbok Online Casino Today! Hey Aussies: Sign Up at Springbok Online Casino Now! At Springbok Online Casino we offer a warm g’day to all our Aussie gamers. We really don’t care whether you support the Wallabies or the baggy green caps. As far as we’re concerned you’re a valued member of the Springbok team… and a crafty one at that. Together with our jaw dropping three-tiered welcome bonus - which, btw, includes a free cash no deposit bonus - you’ll be in line for cashback on your deposits, freeroll slots tourneys, heaps of comp points and exclusive giveaways for VIP players! Then there’s an RTG games menu chockers with high hit rate casino slot machines, blackjack and roulette variants and poker games in the traditional and video formats. Toss in a wide selection of progressive jackpot slots and there’s plenty of ZAR up for grabs at our green and gold gaming venue! At Springbok casino our mission is to provide uninterrupted gaming compatible with all devices. That’s exactly why we’ve developed an intuitive mobile platform that supports Windows, iOS and Android handsets and tablets. We’ve also recently launched a brand new Springbok casino app for Android that you can download and install directly from our site. For those ‘old timers’ Down Under who prefer to play on a PC, the cream of the casino games crop is available in our instant play casino. 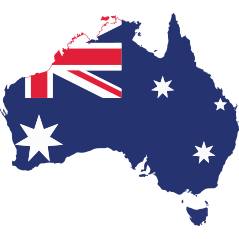 The more discerning Australian gamers in Sydney, Perth, Adelaide and Alice Springs will undoubtedly opt for the high-resolution whistles and bells of the full download Springbok online casino that’s only a click away. Whatever version of our superb South Africa-facing online casino you choose from the comfy confines of the land of Oz, you’re guaranteed a quality remote gambling experience that’s secure, regulated and fair! From the moment you register an account at Springbok online or mobile casino, you’re eligible for a slew of bonuses, promotions and comp points. In fact, your first few real money deposits unlock a whopper of a welcome deal valued at up to R11,500 free. That’s right… there are three consecutive bonus codes you can redeem to put more of a punch in your newly-opened Springbok casino account. Add a bit of coinage to proceedings, enter the coupon code SPRINGBOK100 at the cashier and we’ll match your first deposit Rand for Rand up to R1,500. Follow up with a second deposit, tap in SPRINGBOK50 and you’ll earn a cool 50% extra. As this bonus is capped at R5,000 it’s clearly the right time to boost your bankroll big time. As with all good things the best is saved for last. Simply enter the coupon code TEST-SPRINGBOK and you’ll bank R250… no deposit required! What Else is Free at Springbok Casino? In addition to the sizzling hot welcome offer, Aussie players can benefit from everyday bonuses and promotions. For one you’ll get cashback on every deposit you make provided it is not linked to its own bonus. You’ll also cash in on exclusive 300% deposit bonuses and Lucky 7 promotions. That’s not all. Your every wager generates comp points at a rate of R10 for one point. Once you’ve accumulated sufficient points you can convert them into free credits and splash them on your favourite slots and table games. Springbok online casino is a ripper of an RTG gambling destination. Elect to play at the download casino and you’ll have more than 200 unique games titles to pick and choose from. The vast majority of the casino games’ suite is made up of on-demand casino slot machines in the 6-reel, 5-reel and 3-reel configurations. In among the most popular slots - which are of course the story-based Real Series of Slots with their randomly activated jackpots - you’ll find exciting new titles fresh from the Real Time Gaming production line. You can play I, Zombie slot for the day, do a bit of Scuba Fishing on the remote barrier reef and tip toe through the jungle in search of genuine treasure with the cute little adventurer Banana Jones. If that doesn’t appeal to you, you can scam your way to real money riches in the Swindle All the Way slot, capitalize on the one of a kind win-win feature in Bubble Bubble 2 slot or bank crates of coins as the Norse gods battle it out in Asgard slot! If Oriental-themed gambling opportunities are your thing, give the likes of Ancient Gods, San Guo Zheng Ba, Tian Di Yuan Su slots a twirl and watch in wonder as your betting total grows and grows. Alternatively, the Jackie Chan inspired slots in the form of Eagle Shadow Fist and Fantasy Mission Force are packed with entertainment and prodigious payout potential. Those of you on a quest for a major money single win can tap into the progressive jackpot genre for a shot at the high life. At Springbok online casino you’ll find 10 big-paying slots and pokers that can send your bankroll soaring into cyberspace and far, far beyond. In addition, Springbok online and mobile casino has a consummate array of skill-based table games that include a suite of exciting blackjack variants with lucrative bonus features. There’s also a selection of video poker variations and speciality games that include bingo, keno and scratch cards. To ensure Australians can easily fund their online casino accounts, we’ve partnered with major credit card companies, ewallet solutions and prepaid card providers. Along with Visa and MasterCard, Aussie players can use EcoPayz, Neteller, Skrill, Bitcoin and bank wire to begin a life-long relationship with the Springbok that never sleeps! Whatever banking method you choose, you can rest assured your personal and banking details are strictly confidential. What’s more, all financial transactions conducted on our site are protected by advanced encryption technology. What About Fair Play and Customer Support? If you are wondering whether the online casino games and random number generator are fair and random, Real Time Gaming has a working relationship with Technical Systems Testing (TST), an independent testing agency that’s above reproach. What’s more, our friendly Springbok casino customer support team is available around the clock. Contact points include phone support, email support and live help. If for any reason you don’t get the answers or support you require, you can always contact our licensing and regulatory authority in Curacao to troubleshoot on your behalf. They are mandated to mediate and resolve disputes between players and the remote casino as amicably as possible. Aussie Gaming Alert: Register an Account at Springbok Online Casino Today! With so many great casino slot machines, table games, bonuses, services and benefits tailored for Aussies, there’s really no reason at all why you can’t become a registered member at the Springbok online casino. Go on… click on the dazzling gold ‘Sign Up’ tab on the top right of your screen, follow the prompts and enjoy the myriad benefits of this legendary South African gaming brand. You really have got nothing to lose!